So, This is it, folks. The culmination of a year of toil and sweat has finally been released to the public at the new Steve Jobs spaceship campus by Apple. It is the magnum opus of the company’s 10-year product line. The “future of smartphone” as Tim Cook would have us believe. 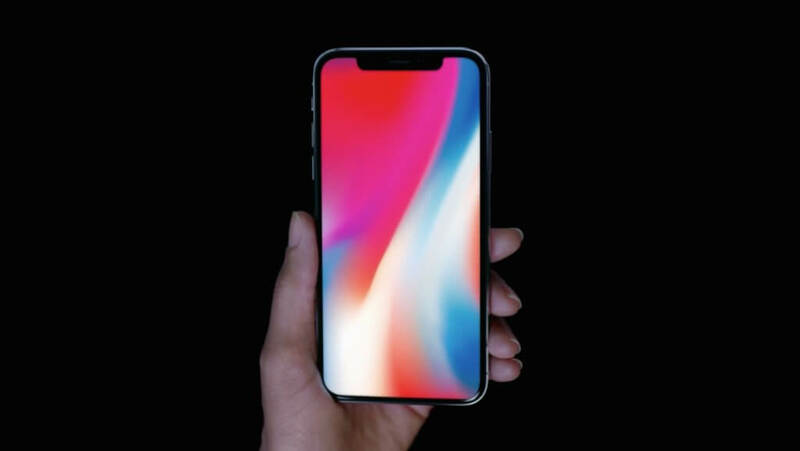 It is the Apple iPhone X (pronounced 10). Already, before the launch, expectations from the phones were running sky high and most of the expert leaks were spot on. In, fact, Apple had very little to surprise us. Even then, the crowd looked awed by the first-ever bezel-less design phone. Of course, there were controversial decisions taken to accommodate the design that will spark debates across the blogosphere. For now, let’s take a look at the latest Apple marvel. When we talk about the iPhone X we have to talk about the screen. It is the real hero of the story. The iPhone X trumps all bezel-less phones out there in terms of screen-to-body ratio. Even the newly launched Mi MIX 2. That is thanks to the notch on the top of the screen where there is no bottom chin. This also means there is no Home button. Apple could have easily gone for a slim bezel instead of a notch that attracts attention all the time. Although, this is one debate that warrants a separate post. Apple has embedded up to 7 sensors to render the new Face ID accurate. The Cupertino company claims that Face ID is 2x harder to break into compared to Touch ID which has no place on the iPhone X. This is yet another controversial design decision that might put Apple under fire. But the USA-based company is no stranger to such decisions as it did show last year by killing the beloved headphone jack. The back of the phone now comes with a glass plated stainless steel design instead of metal to accommodate wireless charging. It is something the other two new seemingly-neglected iPhone 8 and iPhone 8 Plus models also have. Nonetheless, it’s a welcome feature that Android has had for some time now. Oh, and did we mention that it inherits the water-diving capacity (IP67 rating) from the previous generation. Apple has also put in effort in terms of raw power in the iPhone X. Underneath the attention grabbing 5.8-inch Super Retina OLED Display with 1125×2436 resolution sits the A11 bionic chip. The new silicon wafer has 6 cores and a dedicated neural engine AI whose chief work is to handle face ID authentication. The two high-performance cores are 25% faster than the A10 chip. While the four high-efficiency cores are 70% more efficient than the A10. We won’t know how much RAM the company has put in until someone pries open the device for us but 3 GB is a reasonable assumption. Apple has also beefed up the GPU to handle the next big feature Apple will bring mainstream. This brings us to the next drool-worthy feature the new set of iPhones will have: Augmented Reality. The company demonstrated an AR game-title called “The Machines” on stage to show how far the company has reached in terms of final production. And suffice to say we were impressed. With iOS 11, new demos will be launched and the AR platform will work with A9 chips too. This brings us to the drool-worthy feature the new set of iPhones will have: Augmented Reality. The company demonstrated an AR game-title called “The Machines” on stage to show how far the company has reached in terms of final production. And suffice to say we were impressed. Apart from that, we have some improvements peppered here and there. There is Portrait Lighting that takes the Portrait Mode to another level. This can completely change the lighting of a shot and even altogether make it disappear. This is achieved by the TrueDepth Camera on the front. The rear dual cameras are the same as 12 MP duo as the last year. Although now you have optical image stabilization on both the wide-angle and telephoto lenses. Moreover, the sensors are larger and faster with the f/1.8 aperture(wide-angle) and f/2.4 aperture (tele-photo) lenses. Another big headline of the event was battery life. Apple said the iPhone X will last 2 hours longer than previous models. Also, fast-charging now will allow people some respite from chargers as the new device can charge up to 50% in 30 minutes. There are the first iPhones that come with fast charging. Up til now, we had the latest generation iPads that supported the feature. So that was an epic launch yesterday from one of the top smartphone makers in the world. We’d like to know what you found most interesting on the iPhone X. Also, what are its biggest shortcomings? How will it sell compared to the Galaxy Note 8? Let us know in the comments below.